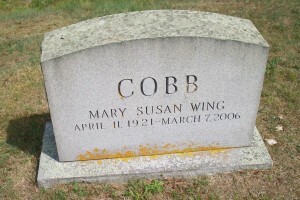 Ancestry; Howard Burgess Wing; William Henry Wing; Nathaniel Wing, ll; Alvan Wing; Lemuel Jesse Wing, Rev War; Nathaniel Wing; Ebenezer Wing; Nathaniel Wing, KP War; Stephen Wing; John Wing, Rev. 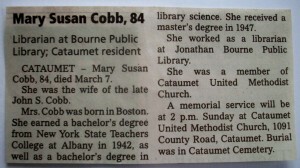 Born: April 11, 1921 in Boston Ma. 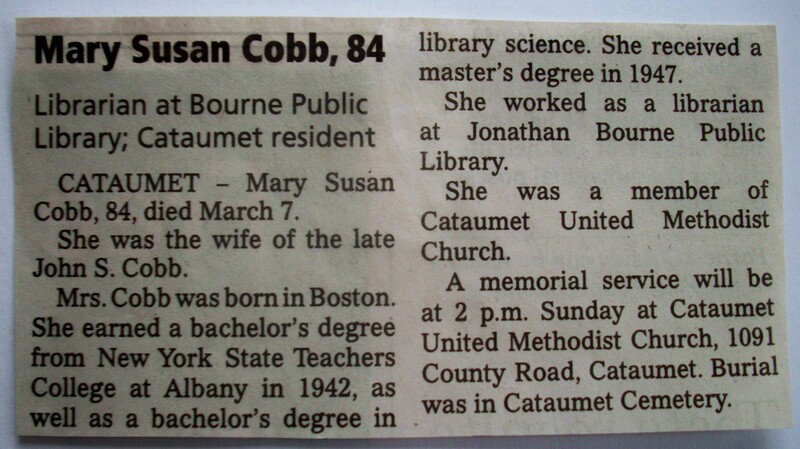 Died: March 7, 2006 in Cataumet Ma. 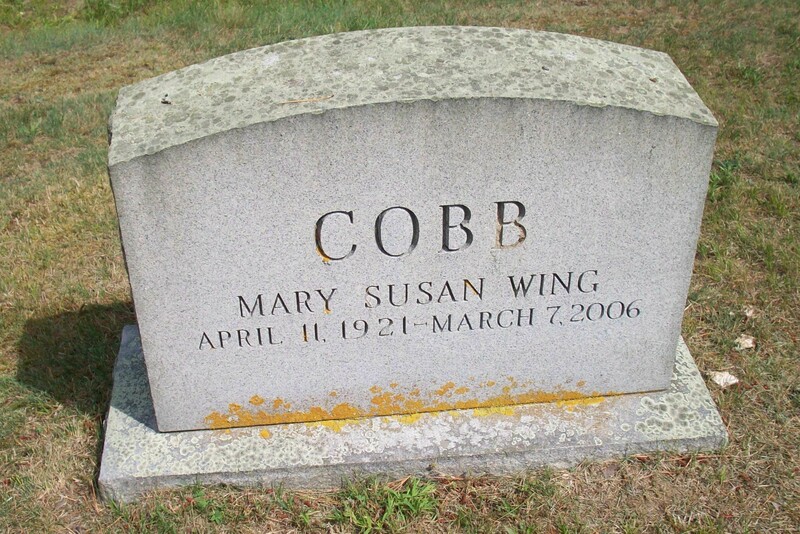 To: John Strong Cobb; (1889 – 1973) (John Henry Cobb & Emma Lucretia Richmond); John married (1) Wilma Marsina Osgood (1896 – 1942) (Merick C. Osgood & Mary C. Bridgeham) in Abt.1919.